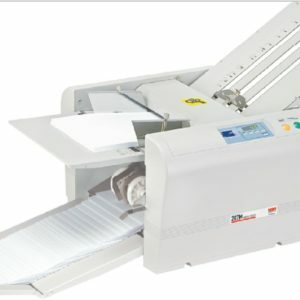 Profold Model 4055 Folder - Roberts Business Machines, Inc. 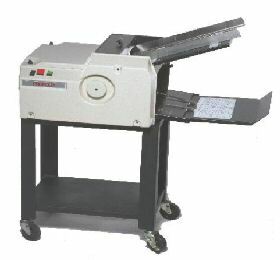 The Model 4055 is primarily a floor model right angle folder, designed to be used in conjunction with our 4040 folder either at a right angle or in tandem with a host of other Profold models whenever the need for a right angle unit is required. The durable folder sections contain Profold’s No- Set- Gap- Set. 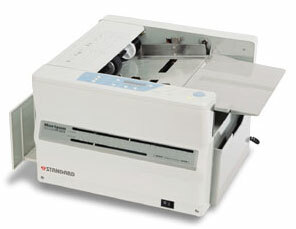 This patented feature eliminates all fold roller adjustments due to paper caliper or fold format changes. Both folder sections contain four fold plates, which allow many different types of folds. 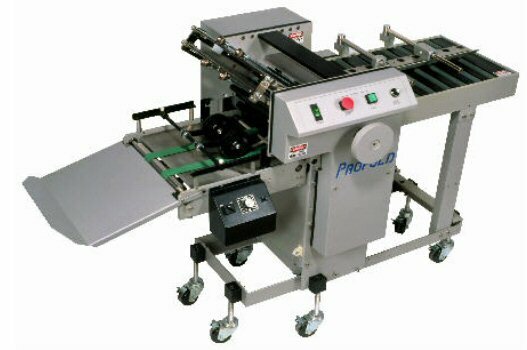 The patented Prothane Fastrack Grooved Rollers are long life rollers with no affinity to laser or copier toner. These grooved pure urethane rollers allow air to escape to produce the tightest possible fold, as well as allowing toner to escape, leaving a clean paper path while operating. The unique cross carrier contains urethane-covered rollers, which provide fast product registration to assure proper product entry into the second set of fold rollers. The belt drive and sealed bearings minimize noise and the need for lubrication. 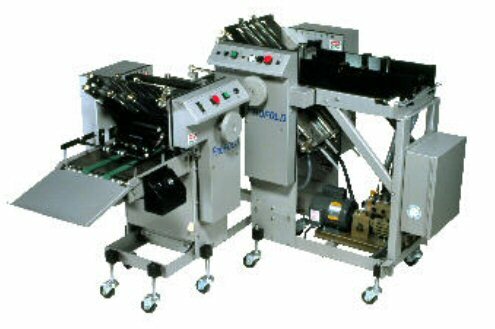 The delivery conveyor is driven by an independent variable DC drive, which delivers the folded product into a stacker tray.